Iodine is an essential trace element, which is required by the human body for the production of thyroid hormone. Because iodine is so important, it cannot be an allergen. But in some cases, people are intolerant or allergic to substances mixed with it. Research has found that some individuals get an allergic reaction to iodinated radiological contrast media, seafood or a contact allergy to povidone-iodine antiseptic preparations. Adverse reactions to iodine have occurred in the past but more studies are required to get a clear picture. Iodinated antiseptics, for example, povidone-iodine are used for the treatment of bacterial infections of the skin. Application of such an antiseptic may cause rashes or irritant dermatitis in individuals who are sensitive to iodine. However, some studies have found that such an allergic reaction is due to the presence of other allergens in the medication and not iodine. Radiocontrast materials contain a small amount of free iodide. It is an agent used in X-rays. Iodinated contrast dyes are responsible for various severe reactions in individuals who are allergic to iodine. That is why individuals are often asked before an X-ray if they are allergic to iodine. Seafood contains a high amount of iodine; hence it may cause undesirable symptoms in individuals with iodine sensitivity. However, more studies are required to understand the effect of foods high in iodine in people with iodine allergy. Some individuals who are highly sensitive to iodine, exhibit symptoms of iodine allergy when exposed to it. Symptoms usually start with the lips and progress towards the entire face. A generalized swelling occurs around the eyes and lips. Symptoms of iodine allergy are commonly seen on the skin. After an exposure to iodine, individuals sensitive to it develop rashes on the skin. In severe cases, it is associated with redness, pain, and bumps on the skin. Such rashes are usually present on the torso. It is believed that shellfish is a rich source of iodine. Hence, consumption of seafood may lead to undesirable symptoms in individuals with iodine allergy. But this is not true. 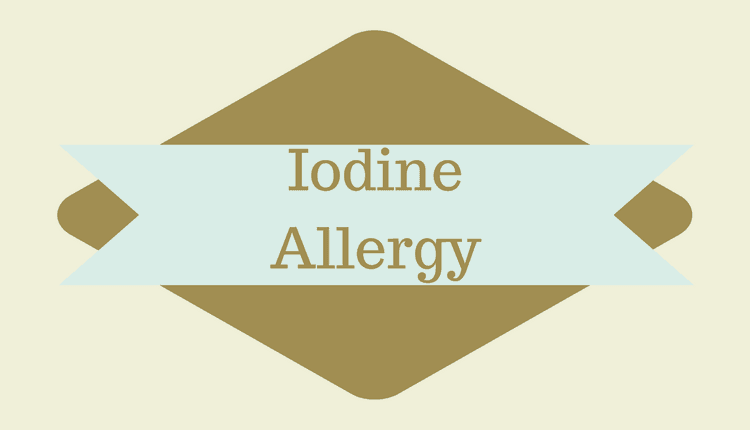 Studies have found that iodine is not an allergen. It is further believed that having a seafood allergy puts you at an increased risk of developing iodine allergies. But there is no evidence that seafood allergy increases the risk of iodine allergy. Some studies have even reported that the term ‘iodine allergy’ is imprecise because it designates allergies against different substances such as disinfectants with complexed iodine and contrast media with covalently bound iodine.